Over the weekend I got to experience my first massage and it was amazing! I found the perfect place in town that used natural products and offered some discount services. I was rubbed down and warmed up with towels for 90 minutes. I was so relaxed I almost fell asleep! It was recommended that I come back in two weeks since I have a lot of knots in my back. I often do not have the time for a hour or more of bliss but will be booking the 30 minute when I am crunched on time and money. 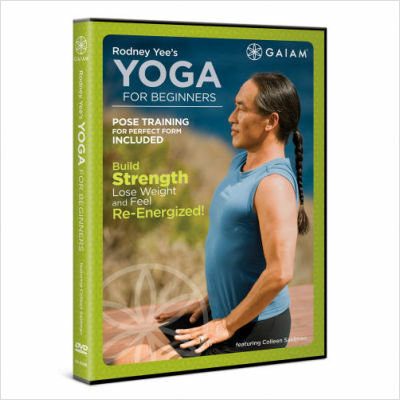 Currently my favorite yoga DVD is Yoga For Beginners with Rodney Yee. I love doing both the AM and PM routines with the inspirational audio track. Both workouts make me feel refreshed, light and just a whole lot happier! If anyone has yoga DVD recommendation that are along the lines of this DVD please share! These are just two things I have been doing to relax. I am always trying new things from meditation to specialty teas. I think relaxation is important!